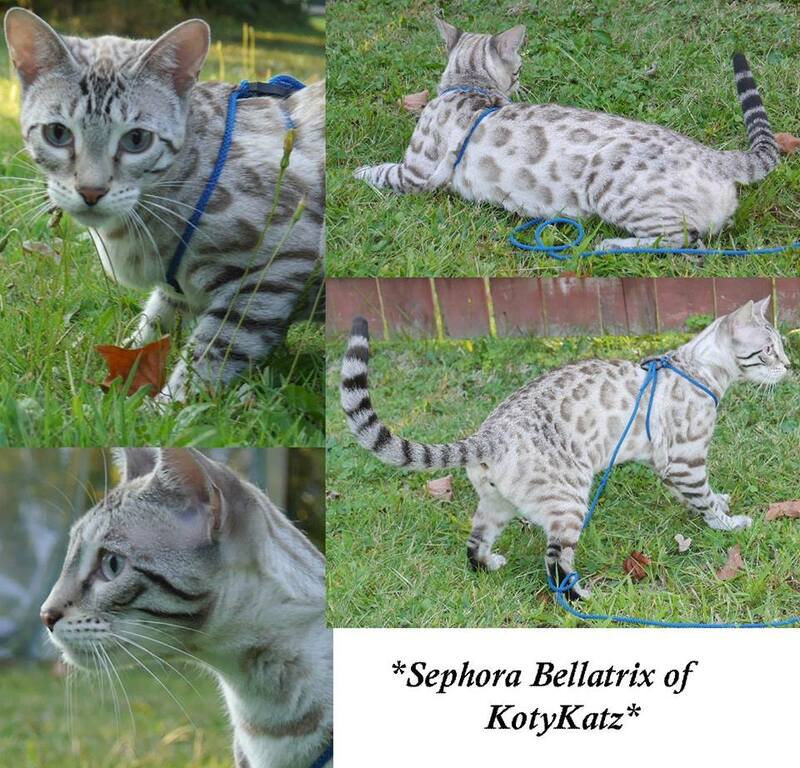 Sephora Bellatrix of Kotykatz – Our biggest thanks to Dasynda Rosenbarger of Sephora Bengals in Indiana for this beautiful addition to KotyKatz Bengals! Bellatrix is a Seal Lynx point F2 Bengal. There are not a lot of F2 Bengals in this color that’s for sure! Her rosetting will continue to darken as she matures. Bellatrix is a Seal Lynx point F2 Bengal. There are not a lot of F2 Bengals in this color that’s for sure! Her rosetting will continue to darken as she matures. Her pattern flow can not be beat! Bellatrix is also just one of a very few descendants from the Asian Leopard Cat Syd of Quadaps. Using a variety of ALC’s in Bengal breeding programs is of great importance to keep genetic diversity. 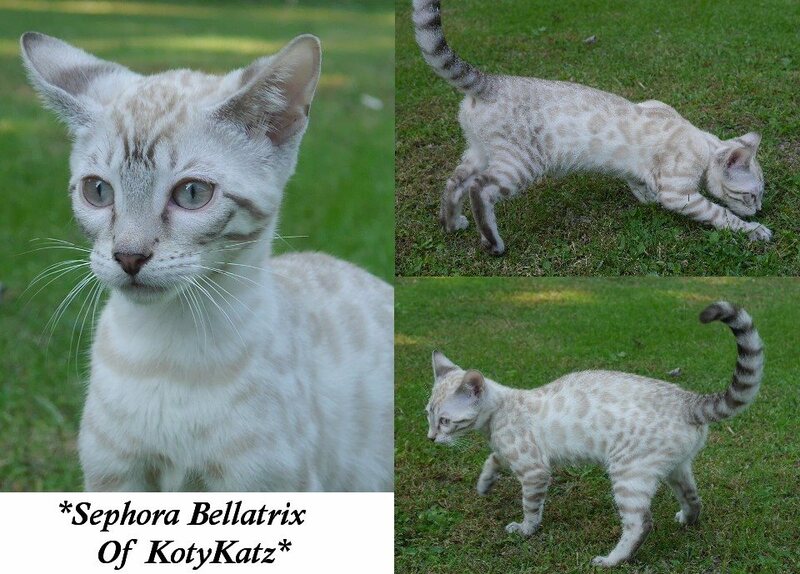 Bellatrix will play a big part in the foundation for our silver lynx point Bengal project. She has so much to offer with her wild face and beautiful horizontal pattern flow. Not to mention her super sweet personality!! If you’d like to see Bellatrix’s pedigree, please click here. 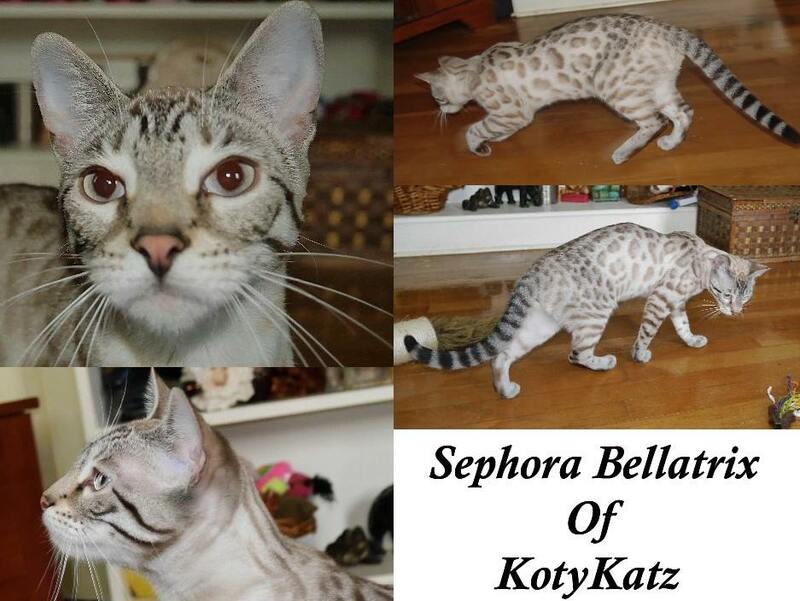 This entry was posted in Gallery, Reference Queens and tagged Bengal Queen, F2, seal lynx point, snow. Bookmark the permalink.